Have you ever considered if there is an advantage to playing at casino over placing a bet with a bookmaker and vice versa? 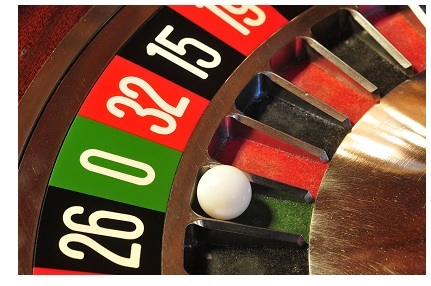 Does the house edge at in a game of roulette trump that of a bet on the Premier League? Most gambling is, of course, a question of taste. While serious punters will concern themselves with getting every little edge, the rest of us do it for the fun or put a little faith in luck. However, it is intriguing to see the difference between the house edge in a casino and a bookmaker’s edge. Take, for example, a game of roulette, specifically American roulette. A single bet on red or black will pay 1:1 on your bet. As two of the 38 sections on the roulette wheel are green (0/00), it means you have a 47.37% chance of winning the bet on red or black. This represents a house edge of 5.26%. In fact, every bet in American roulette bet has this house edge except ‘first five’ (0-00-1-2-3 bet), which has a house edge of 7.89%. Indeed, most experienced roulette players will choose European roulette as the single zero section will decrease the house edge to 2.70%. So, what are we looking at when it comes to a sports bet? Looking at something simple like the FA Cup Semi Final between Tottenham Hotspur and Manchester United (21st April). A market with two simple outcomes like who will qualify for the Final see Bet365 offering odds of 8/15 for Spurs and 11/8 for United. The implied probability for a Spurs win is 65.2% and the implied probability for United’s win is 42.1%. The percentage adds up to 107.3%. This 7.3% amount over 100 is known as the “overround” in bookmaking terms, which is effectively the profit the bookie expects to make on the market. Without getting into the mathematics behind the margins, you can see that the relative house edge for bookmaking can be higher than roulette. Before you go rushing to close your bookmaker account, you must also remember that predicting sports’ outcomes is more scientific than the pure chance of roulette. For example, we know that the last time Spurs and United clashed at Wembley, the former won the match 2-0. This is an indicator for the outcome of the semi final, whereas if red was the last outcome in a roulette game it would have no bearing at all on what the next result will be. Of course, the best way to negate the bookmakers’ overround is to nullify your outlay, so check out these free bet offers from all of the leading brands to use on your next bet. 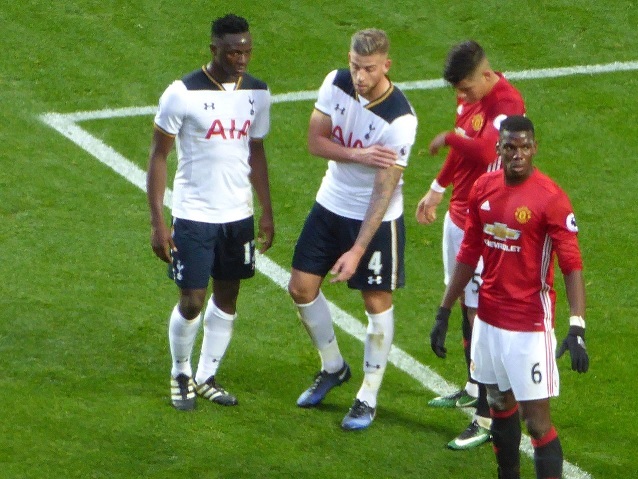 But there are also intangibles to consider in a football game – Spurs will be missing star striker Harry Kane, United seem to have dressing room unrest with manager Jose Mourinho. None of these issues affect the outcome of a roulette game. What do we learn from this? Everything and nothing. The score in the FA Cup game could end up 4-3 to United (340-1 with 188Bet, if you were wondering) in terms of possible outcomes just as easily as a repeat of the 2-0 (10/1) scoreline from the last game between the two sides. The same goes for hitting red ‘7’ three times in a row in roulette. Probable outcomes are a little bit different of course. In the end, most of us bet for fun and thinking too much about the math takes away from that. It is something to keep in mind though.